This is retro at its finest. 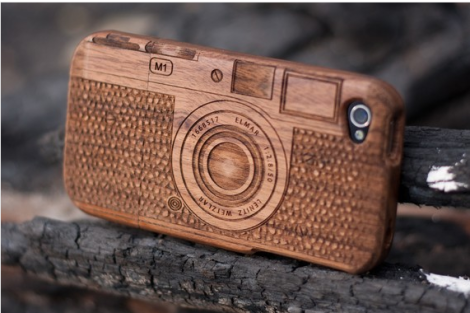 If you love wood and retro cameras and you've got an iPhone 4, this is the case for you. The SigniCase is 100% hand crafted out of wood with various retro camera patterns laser engraved right into the case. What's left is one retro looking natural wood iPhone 4 case with lots of texture for your fingers to explore. SigniCase's Verizon and AT&T compatible iPhone 4 cases come in quite few different camera designs and they are all priced at just $34.99.